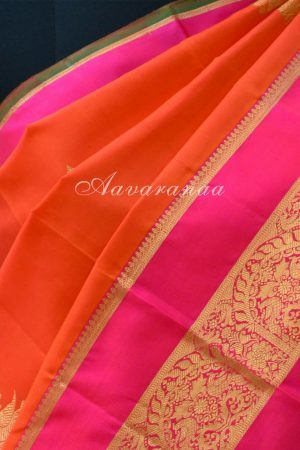 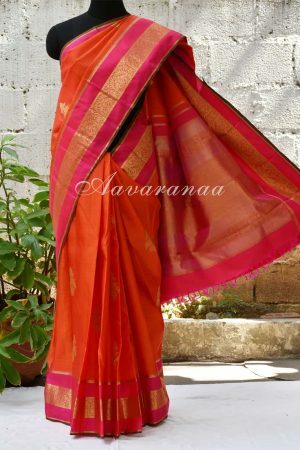 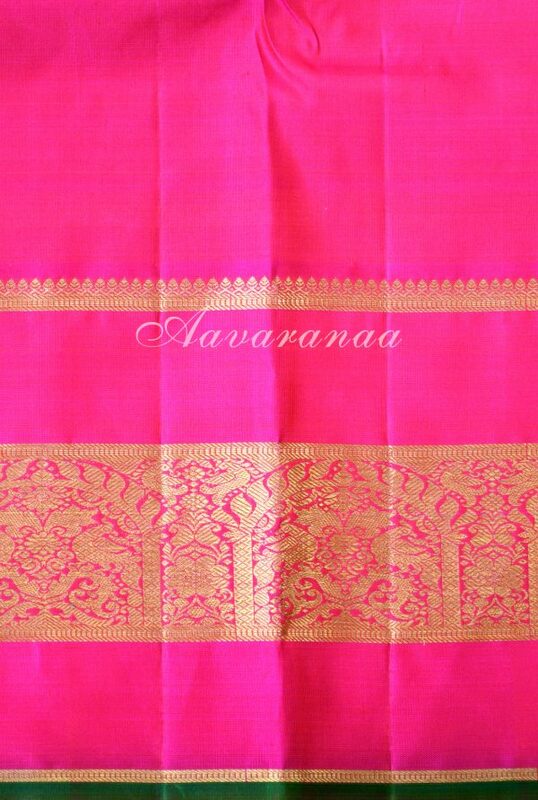 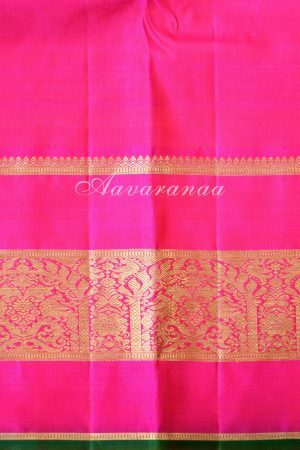 Orangekancheepuram silk saree with zari buttis woven all over the saree with a pink border. 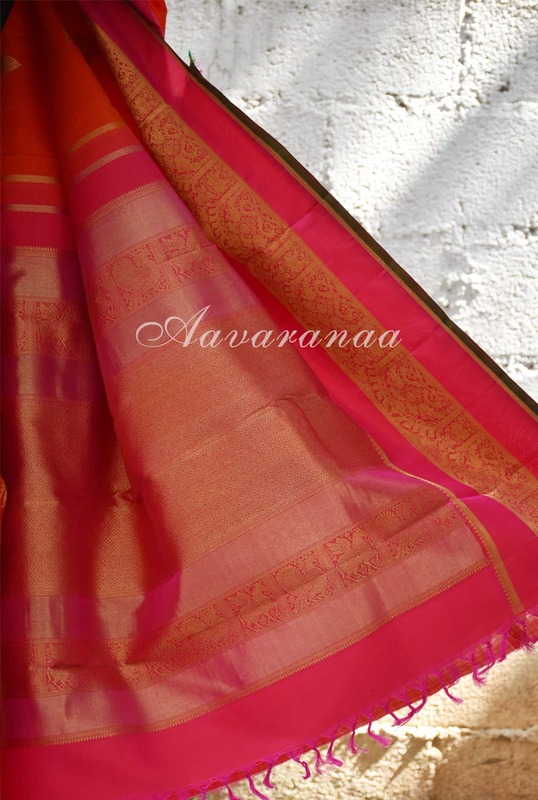 The border has band of zari woven all through. The pallu is pink with traditional zari patterns woven on them .